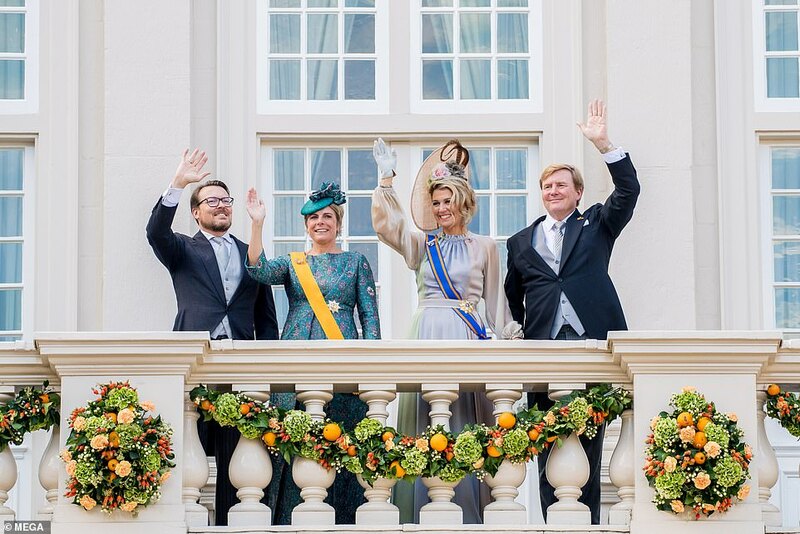 The British monarchy is famed the world over for pageantry such as Trooping The Colour, but it seems the royal family of The Netherlands is equally skilled at putting on an opulent display. 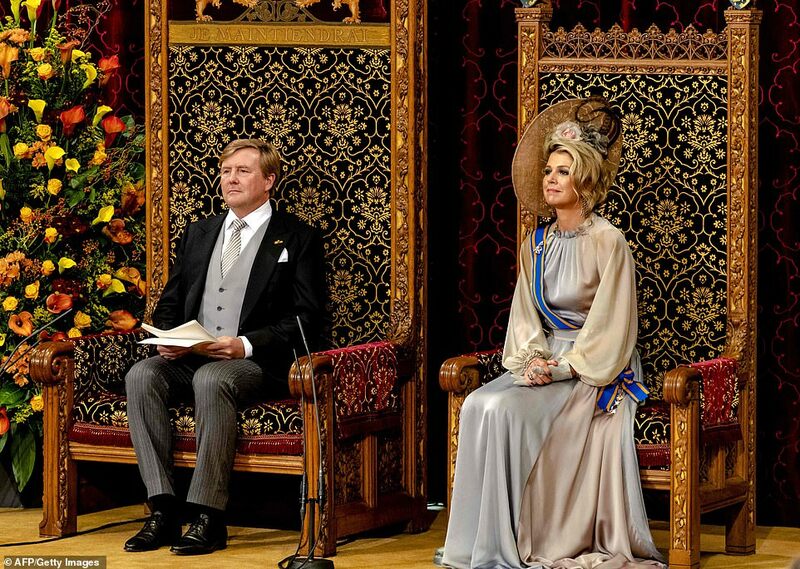 The third Tuesday in September is a day of pomp and pageantry in the Netherlands, marking the opening of the new parliamentary session, with King Willem Alexander and Queen Maxima leading the festivities. 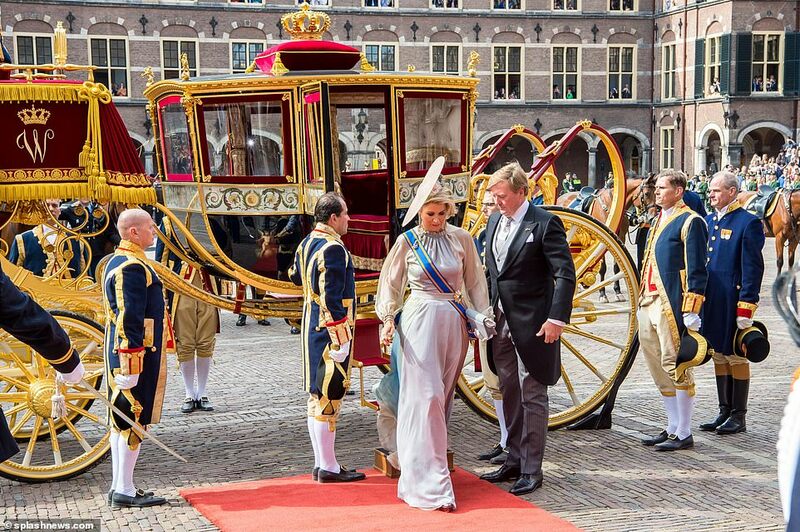 The royal couple arrived for Prinsjesdag - or Prince's Day - the festive opening of the new parliamentary year of the States General, which takes place at the Binnenhof in The Hauge in an opulent carriage that wouldn't look out of place in our own Queen's fleet. 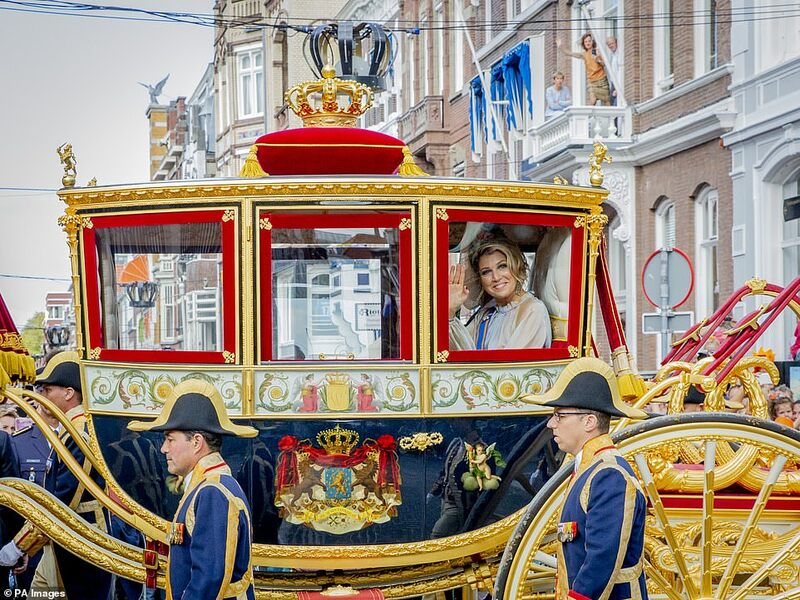 Amid tight security, King and Queen Maxima were driven in an ornate, horse-drawn carriage to parliament from a royal palace in the heart of The Hague, passing through streets lined with cheering crowds. 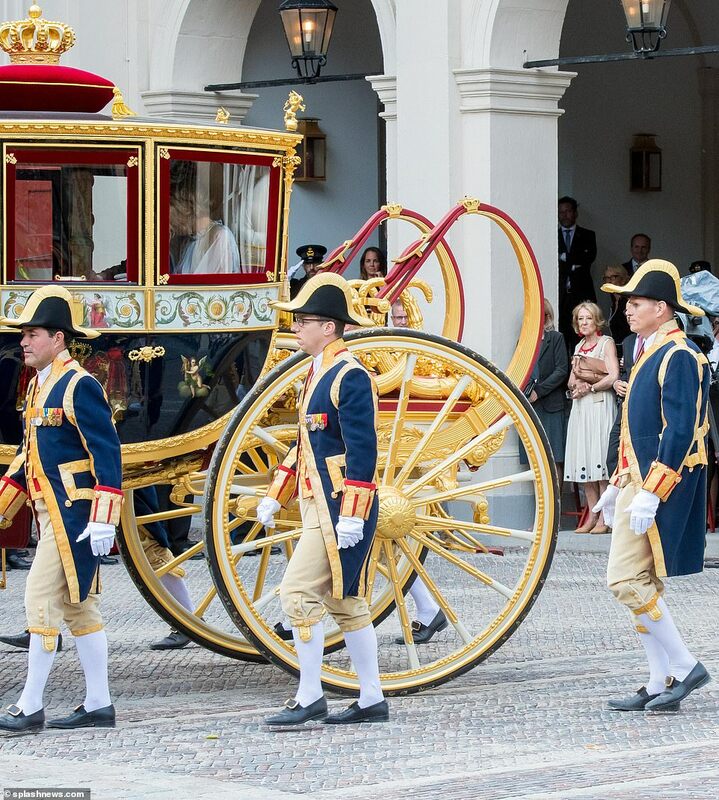 The Golden Carriage carriage that is normally used to bring the King and Queen to Prince's Day, passed down from Dutch Queen Wilhelmina, is currently undergoing renovation, although its replacement vehicle looked just as lavish. 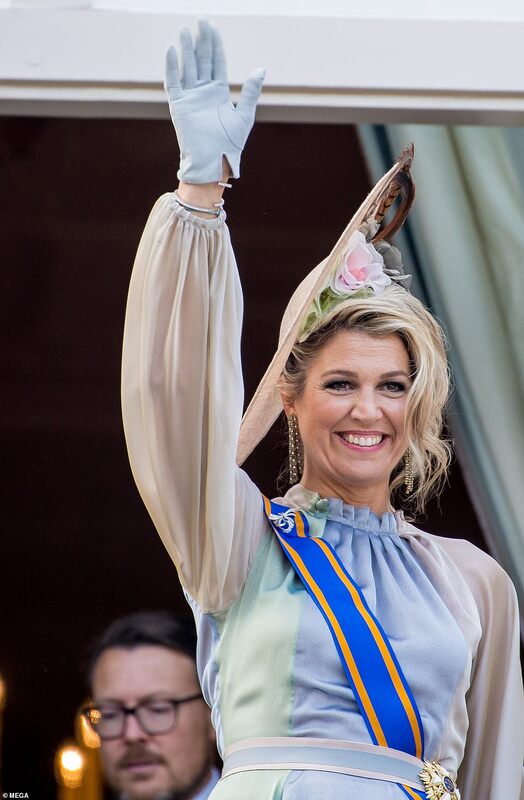 Queen Maxima was certainly dressed for the occasion in her pastel blue and green gown, teamed with a striking floral hat and powder blue gloves. The royal couple greeted the Senate and the House of Representatives from the throne at the 'Ridderzaal' or Hall of Knights. They were reportedly joined for the event by Maxima's mother, Maria del Carmen, and brother, Juan Zorreguieta. King Willem-Alexander traditionally delivers the traditional Speech from the Throne in the Ridderzaal - or Knights' Hall - on Prinsjesdag each year. 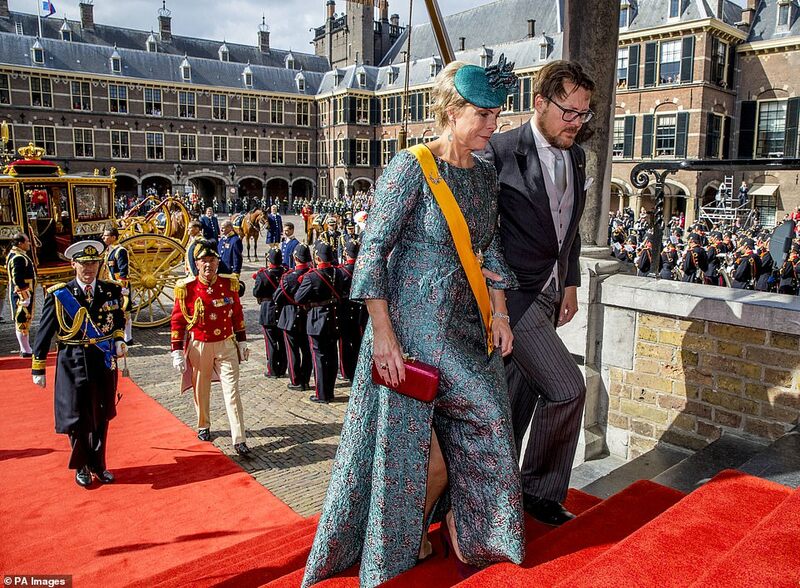 The occasion was return to more familiar territory for Queen Maxima following a dramatic confrontation with a member of the public during a run-of-the-mill royal engagement last week. The Queen was accosted by an angry mother during a visit to the non-profit YETS Foundation in Schiedam, in south Holland. Maxima, 47, had just finished speaking to participants in the award-winning youth programme when the woman broke out of the audience and ran towards her. 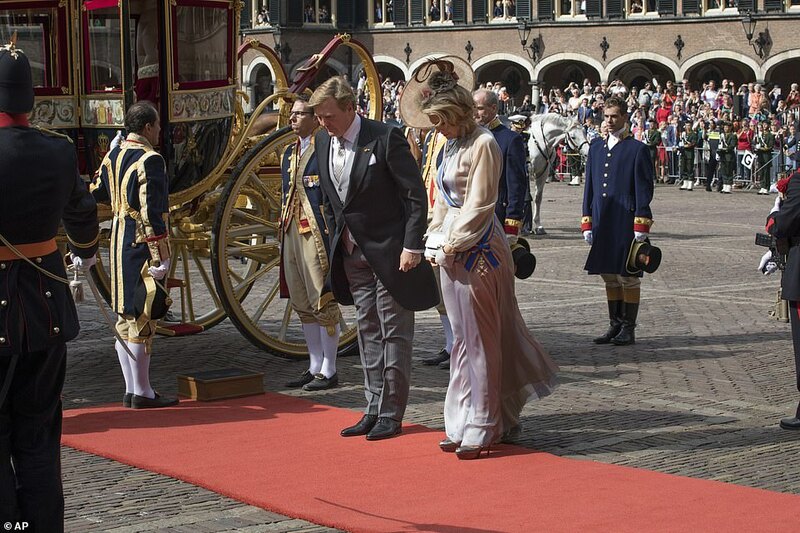 In the end, she managed to approach Queen Maxima who took the note away with her. Earlier that same week the royal was joined by Dutch Minister Sigrid Kaag at an event launching the Global Partnership for Financial Inclusion workshop. 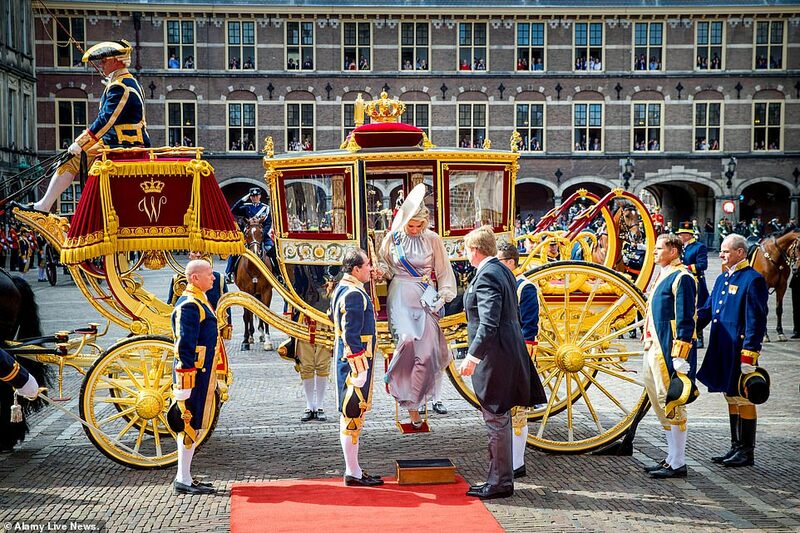 The Dutch queen appeared in excellent spirits as she arrived at the workshop, beaming as she stepped out of her car. The appearance marked one of the royal's first since she enjoyed a few weeks off from her duties over summer. 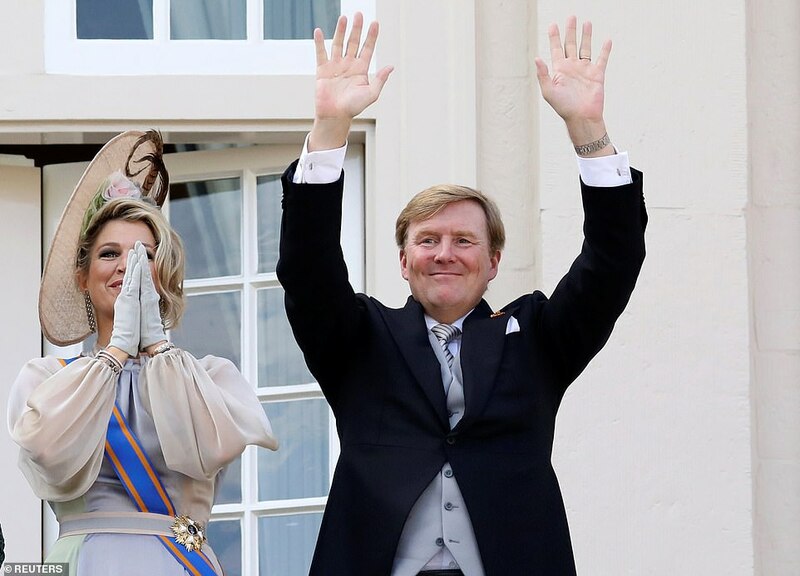 Maxima has three daughters, Catharina-Amalia, 14, Alexia, 13 and Ariane, 11, with husband King Willem-Alexander, 51. Maxima has endured a difficult few months, recently flying to Buenos Aires for the funeral of her younger sister, Inés Zorreguieta. Inés took her own life at the age of 33 following a lengthy battle with depression. Máxima pulled out of several state visits in the wake of Inés death in June, bravely returning to work two weeks later. Later that month, during a visit to a hospital in Groningen, she appeared to fight back tears as she gave a short speech.